On Saturday September 12th, The Dimock Center will partner with HoodFit and the Boston Athletic Association (B.A.A.) to host the first annual ‘Road to Wellness 5k Walk/Run.’ The event will kick-off at The Dimock Center and continue through the Roxbury community. The event is anticipated to engage over 1,000 participants from over 200 surrounding communities to unite runners and walkers in their pursuit of wellness, as well as celebrate the rich history of Roxbury. The event will have something to offer the whole family with a “fun run” for kids, light entertainment, and a health and wellness festival. The festival will offer the opportunity for participants to receive health screenings, talk to experts about health and fitness, and explore offerings from area businesses. Optional fitness training days held throughout the summer leading up to the walk/run. The first day of training will be held on Saturday June 27th at 9am at Franklin Park. 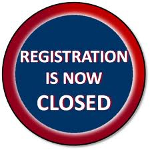 Online registration for The Road to Wellness 5K Walk/Run is now closed but day of event registrations will be welcome! Join us on Saturday, September 12 at 55 Dimock Street! Onsite registration opens at 7AM.